Safety and Healthy New Zealand Beef. - New Zealand Beef & Wine, Restaurant "Grill Teru." Safety and Healthy New Zealand Beef. A meeting with JECFA has been held in this month, provably a few of people know that name. That is the abbreviation of WHO Japan Expert Committee on Food Additives. American or Australian Beef will be popular as an import beef, however, you shall take care of using it as an ingredient for foods. A concerning point is the Growth Promoting Hormone (Breeding Hormone) included in a pharmaceutical product for animals. This hormone is used in those countries as usual. It's using in feeds mixing with Antibiotics from a calf. 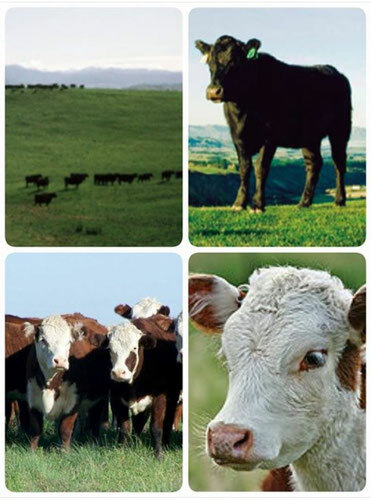 It protects beef cattle to contract diseases according to feed too much grains as maizes. Ordinarily cattle don't feed meats or grains instead pasture grasses, if a humanity break a system of natural methods, it will cause a new sickness like BSE, and maybe create unknown diseases. Hormone Growth Promotants will make cattle to be 450 kg for shipments within 20 months instead 25 months for a natural term of grown up. It means a 5 months saving for expenses as feeds and others and improving a productivity. However, Antibiotics and Breeding Hormones will be stack in a body of human through a cattle beef. People say that there is a risk of a cancer, however, it's unclear because of a few of pathological statistics and clinical cases or an intention of official not to announce. Furthermore, Injection Beef and Rendering Plant are very social concerns. In U.S.A., there are many Rendering Plants as a 2.5 billion dollars industry, so politicians want to keep them. New Zealand Beef and Japanese Beef are not use those risky stuffs, those are health and safety beeves. This is not an advertisement for a New Zealand Beef but an improvement of attention for a safety of foods.